This blog introduces 5 tutorials coming up to Tourism Tribe China Learning Hub which will help you to become China ready. 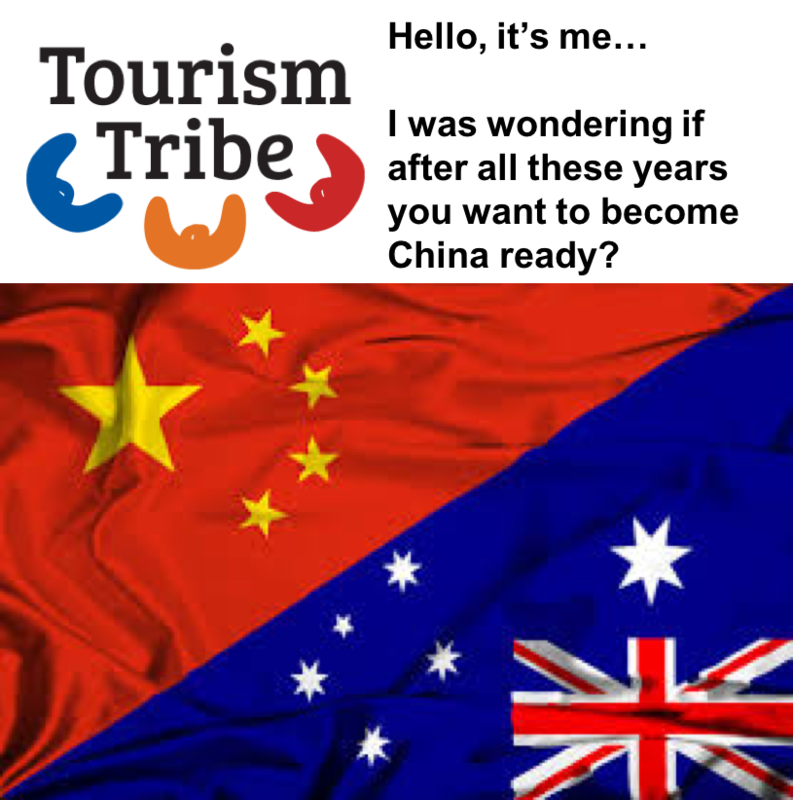 Tourism Tribe members will receive an email every Tuesday for 5 weeks commencing on the 7th February 2017 and all tutorials will reside in the China hub. If you are not currently a member and wish to join please click here. An increasing number of Chinese citizens have been travelling abroad recently. Australia is one of the countries that benefits from Chinese outbound tourists with a million short-term visitors coming to Australia last year. Although the number seems positive, however, it only accounted for 1% of China’s 120 million outbound tourists. Then what do you need to know about China before you decide to enter this country? You need to understand that China is different. Leading international social-media platforms, including Facebook, Instagram, Twitter or Pinterest are all blocked in China. However, many local players such as WeChat and Weibo dominated this market. Besides, most Chinese citizens are frequent users of social media. However, you need to do the segmentation analyses (demographic, geographic, psychologic) to accurately target visitors that may be suitable for your tourism products. We understand that using social media is an ideal way to raise the awareness of your tourism products among current and potential Chinese visitors, and market your destination in China. However, due to Government restrictions, your familiar social media platforms are no longer popular in China. Instead, you may find some equivalent platforms. Do you know which one is better for you? Here is a tutorial discussing 4 key social media platforms in China. It may help you to decide which one is more relevant to your market and how to get started using it for your marketing purposes. Understanding different social media platforms is still not enough to gain success in China. You also need to understand how to effectively market your tourism products through a proper social media platform. For the best chance of success, it is a good idea to target Chinese tourists before they enter Australia. Then how exactly you can do it? Check the five tips to monitor your business. To successfully attract more Chinese visitors, Australia tourism marketers need to overcome certain barriers. Some significant barriers consider languages, political environment and cultures. Especially the cultures, it is the key to help tourism operators to understand Chinese visitors’ expectations and behaviours. Based on the understanding, tourism operators can tailor their tourism products accordingly to meet visitors’ needs. Check on the latest tutorial to know more about Chinese visitors’ expectations. It is wonderful if you already have had a comprehensive understanding of Chinese visitors as well as effective promotion channels in China. However, we also want to help you to stand out among your competitors. Keep in mind that Chinese visitors are different. Standardised products or services may bring you a happy visitor, but may not be enough to get you a long-term loyal relationship. Learn some dos and don’ts in our newly-realised China hub to exceed the expectations of your Chinese visitors.